Lemonade (US) now exclusively live on Awin! 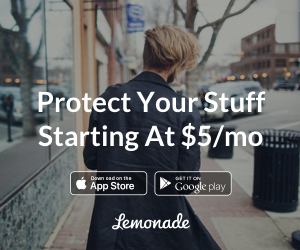 Lemonade is a licensed insurance carrier powered by tech and social good. Every 60 seconds, someone new gets a Lemonade policy. Lemonade is looking for exciting partners that want to help bring Lemonade to the people, all while making money along the way! Join the Lemonade (US) program today!